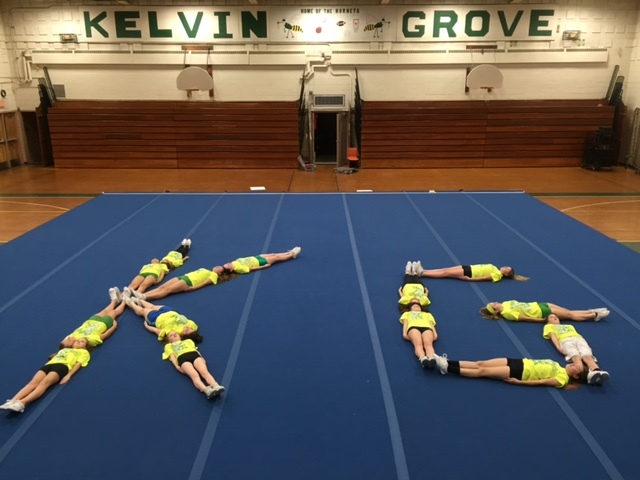 The Kelvin Grove Cheerleaders began practicing skills back in May to prepare for the 2019 IESA State Cheerleading Competition held on January 12, 2019 at the Peoria Civic Center. 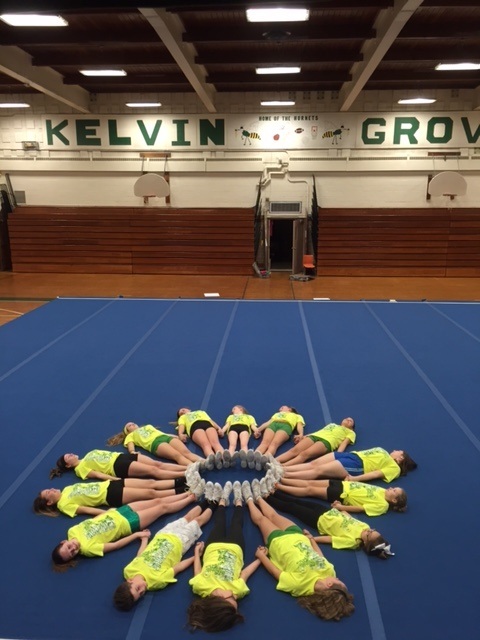 The girls worked hard to gain new skills and improve their routine performance. They faced and overcame many challenges during the season. They were supposed to be competing against 37 other teams in the Small Routine Division at State, but due to a severe snow storm on January 12th, several teams had dropped out of the competition. The Hornets ended up competing against 22 other teams. 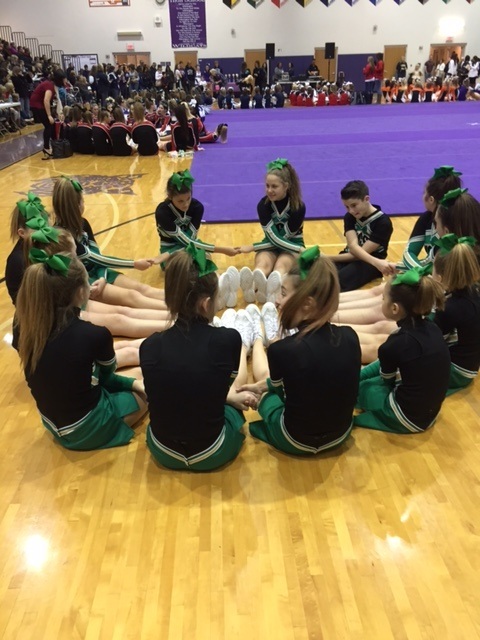 The girls gave a near flawless performance at State and brought home the 1st Place Trophy! 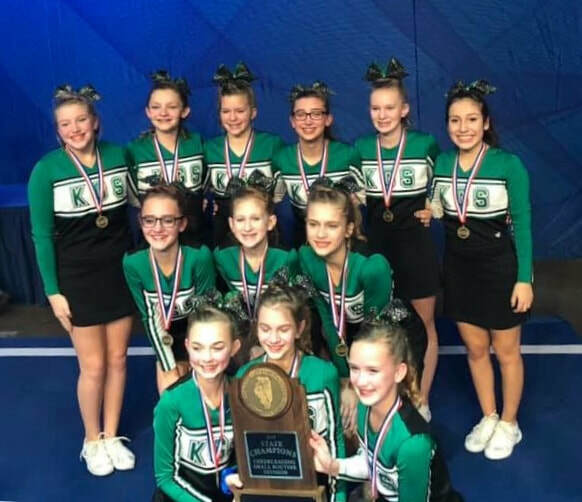 The title gives the KG Cheer program eight IESA State Cheerleading titles to date. 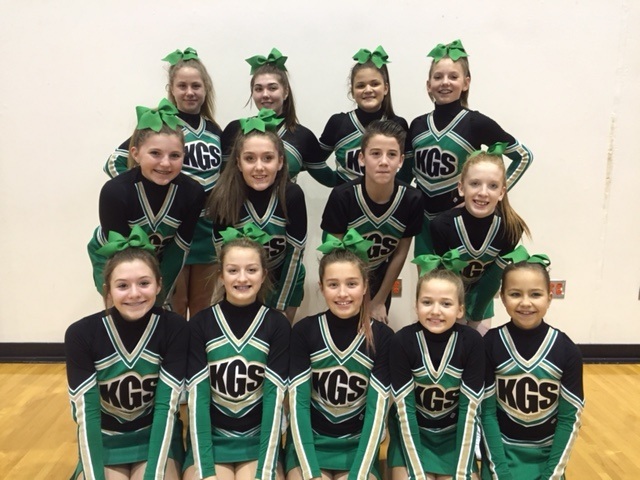 The Hornets have performed at all 18 IESA Cheer Competitions, receiving a top ten finish all 18 years. 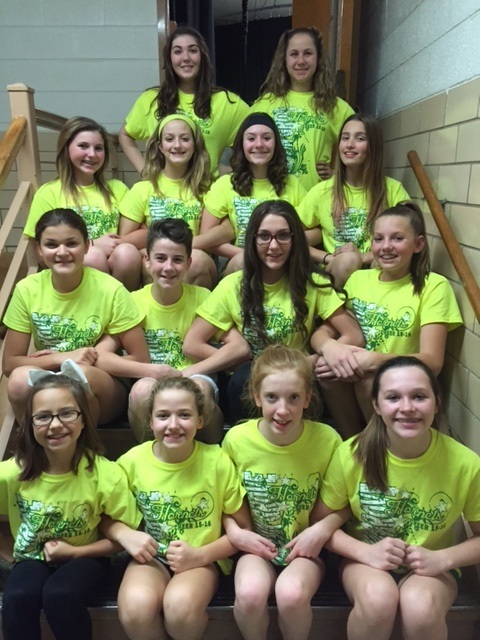 The program has three 2nd place finishes, and two 3rd place finishes. The Hornets are coached by Karli Morrone. Volunteer coaches are Rachel Maida, Lynn Krumlinde and Adri Sosa. Jenny Krumlinde is the team choreographer.